16-10-2017, 16:56 - Passion MSX offline. 25-01-2011, 15:44 - 6 unreleased Konami games?? any infos? 26-09-2009, 18:34 - Where is passionmsx ? 20-09-2009, 12:15 - Where is passionmsx ? 21-07-2008, 19:20 - Karoshi down again? 17-07-2008, 15:56 - Karoshi down again? 13-05-2008, 22:14 - bgmsx, status? 17-04-2008, 08:59 - karoshi offline? 17-04-2008, 00:07 - karoshi offline? 17-04-2008, 00:01 - karoshi offline? 16-04-2008, 23:10 - karoshi offline? 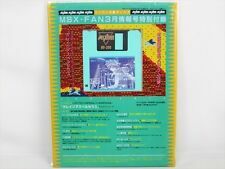 07-09-2007, 23:42 - [For Sale] 118 MSX items! 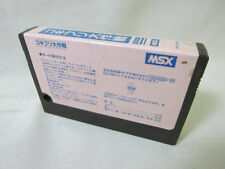 02-09-2007, 23:35 - [For Sale] 118 MSX items! 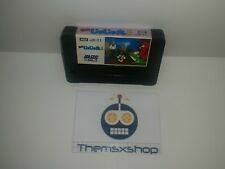 24-08-2007, 23:25 - [For Sale] 118 MSX items!